BRASELTON, Ga. (Sept. 27, 2017) – Road Atlanta has a new long-term partner in FOX Factory Holding Corp. (FOX), a ride dynamics company, as announced by track officials. FOX comes to Road Atlanta in the midst of final preparations for the 20th Anniversary Motul Petit Le Mans weekend, October 4 through 7, of which FOX will play a major role. FOX has taken over the entitlement sponsorship of the Friday race during Motul Petit Le Mans weekend, which takes on the new title of FOX Factory 120. This 120-minute race features the Continental Tire SportsCar Challenge teams and is the big lead up to the 10-hour Motul Petit Le Mans on Saturday, October 7. 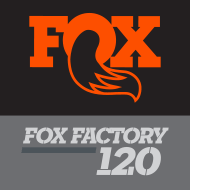 In addition to becoming the new entitlement partner of the FOX Factory 120, FOX also serves as the new title sponsor for the two new trails on the western edge of the Road Atlanta property. These trails will now be known as the FOX Race Face XC Course at Road Atlanta and the FOX Off-Road Proving Grounds at Road Atlanta. The FOX Race Face XC Course is a challenging 4.6-mile mountain bike course that follows a newly-cleared path through the woods and occasionally crosses with the 2.4-mile off-road course, which has recently been completed. These projects have taken many hundreds of hours of manpower from both the Road Atlanta maintenance and operations staffs and volunteers from the community to carve the courses. The FOX Off-Road Proving Grounds present a new opportunity for OEMs to test new vehicles, off-road equipment and more. FOX plans to not only utilize the mountain bike and off-road courses, but will also rely on the established 2.54-mile road course for a number of events and tests throughout the year. The FOX Factory 120 begins at 1:50 p.m. EST on Friday, October 6 as part of the 20th Anniversary Motul Petit Le Mans championship weekend. Headquartered in Scotts Valley, CA, Fox Factory Holding Corp. ("FOX") designs and manufactures performance-defining ride dynamics products primarily for bicycles, on-road and off-road vehicles and trucks, side-by-side vehicles, all-terrain vehicles, snowmobiles, specialty vehicles and applications, and motorcycles. FOX is a direct supplier to leading power vehicle original equipment manufacturers ("OEMs"). Additionally, the Company supplies top bicycle OEMs and their contract manufacturers, and provides aftermarket products to retailers and distributors. Road Atlanta opened in 1970 and is recognized as one of the finest road racing circuits in North America. Located less than an hour north of downtown Atlanta, the track hosts several major events during the year including the world-famous Motul Petit Le Mans, Drift Atlanta presented by Papa John's, The Mitty vintage classic, MotoAmerica superbike event and numerous club and corporate events.